The Sword Coast is immense. Whole adventures can unwind in the towns, settlements and forgotten ruins that populate even a small section of the coast. This area map shows a section of a coastal group of communities. If you’re playing in Forgotten Realms, it can be easily used as any section of the Sword Coast. If you’re not using Forgotten Realms as your current settings, there is a version of the map with no names. You can add your own and use this illustration in your home campaign. 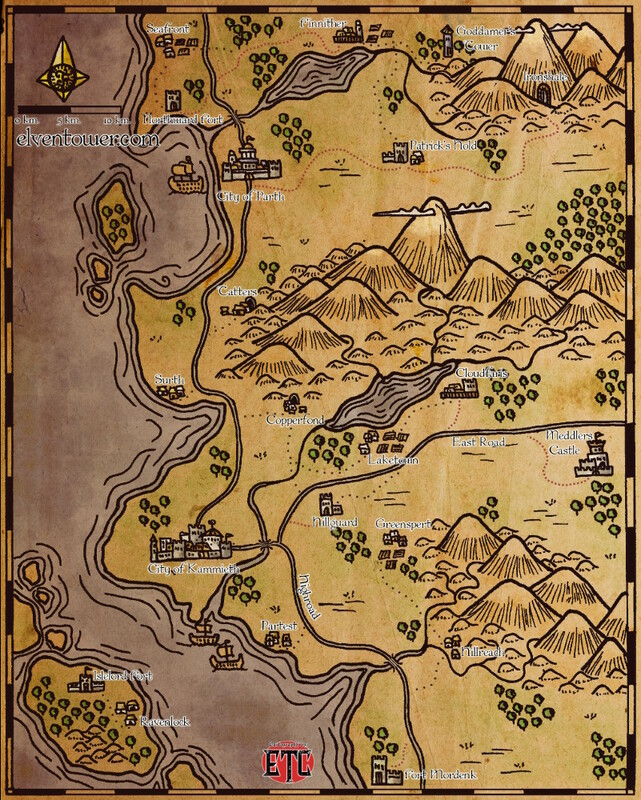 This classical fantasy map illustration shows the location of cities, towns, forts and one castle. 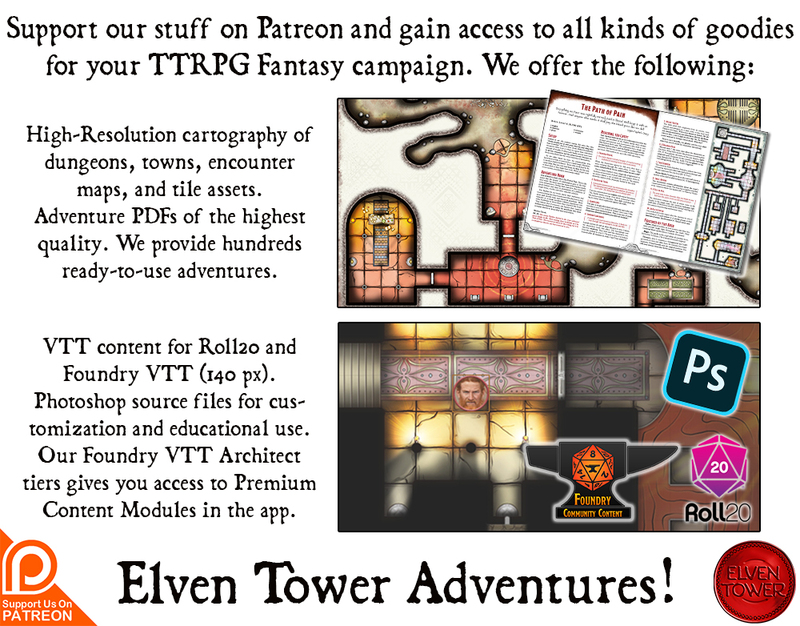 There is also an access to an underground dwarven city, referred is Ironshale in the tagged map. Forts and Castles are positioned in such a way as to protect neighboring settlements. Should a city decide to march against the other, this fortified structures will play an important role in the defense of the different territories. A different adventure path suggestion. Marching war bands of orcs, goblins or similar warmongering species are approaching. Valiant adventurers must help local authorities maintain control of the territories.